After 2 months...I'm boarding the plane again...much shorter this time as compared to the last trip back from US. 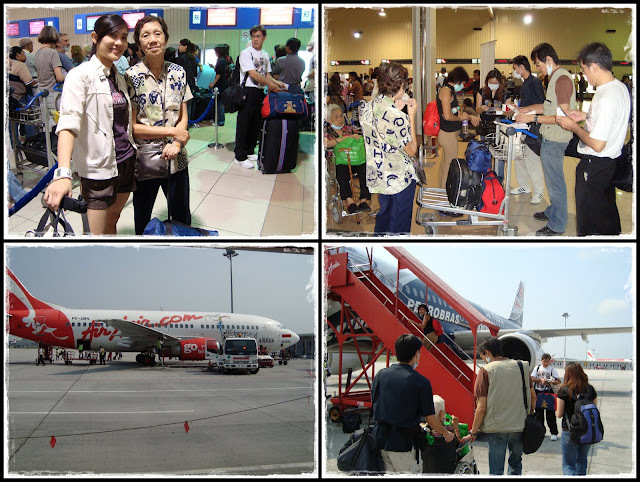 It takes only 3 hours to fly from KL to Bali...and we were lucky to get our 2- way airtickets for only RM88 (about $25) per person...all thanks to AirAsia...'now everyone can fly'...hehe!! 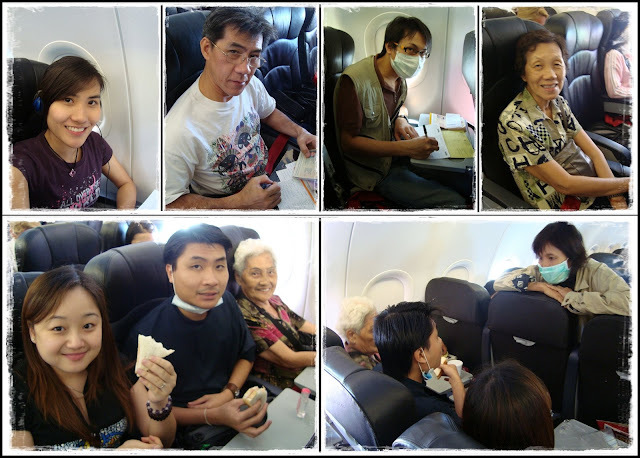 :p 8 of us travelled together this time...thanks to big bro, daddy, and mommy for making all the arrangements during this trip!! 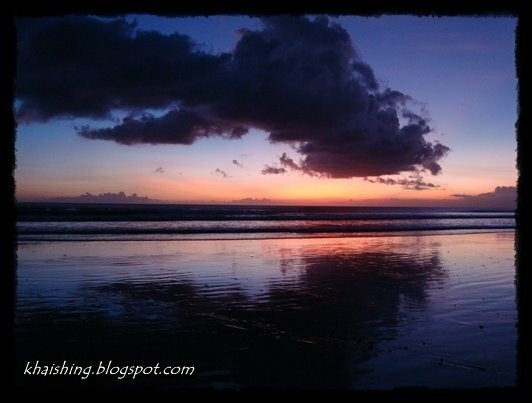 One of the very nice pics that I took during the trip ~"Kuta Beach"
Bro said the shape of Bali Island looks like Snoopy's head...what u think?? Hand sanitizer was a 'must-have' throughout this trip...better be safe than sorry...hehe!! 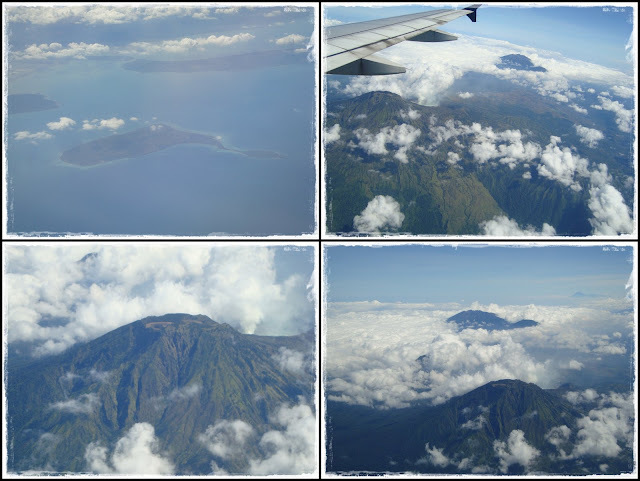 Picturesque view of the volcano from the air! 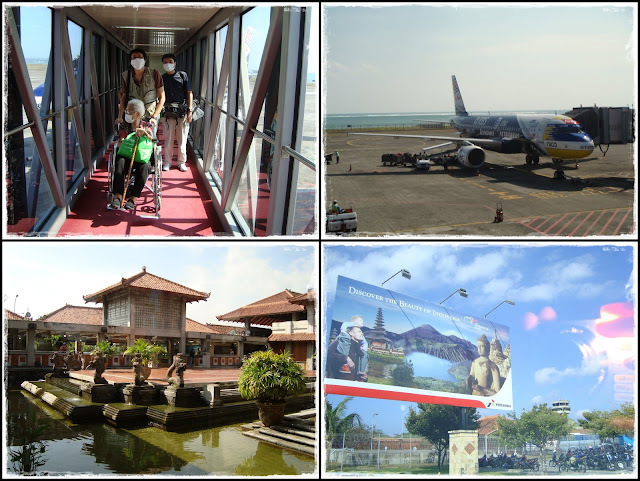 After 3 boring hours...we've finally arrived Bali!! The weather makes us feel like we're still in Malaysia...arghhh...so HOT!!! Indonesia is pretty much similar to M'sia...the people, the language. 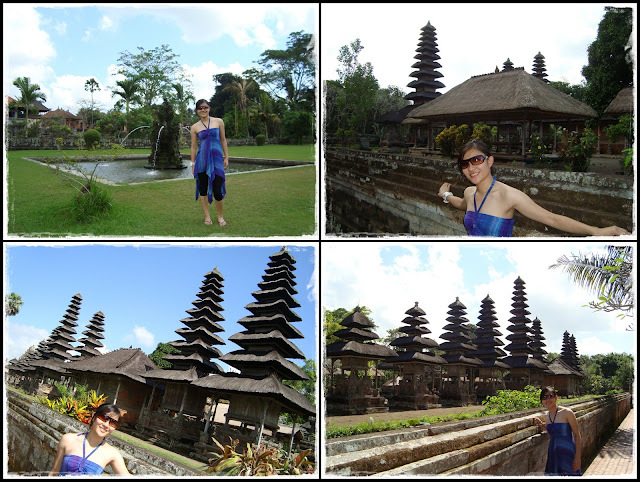 I thing special about this place is the temples...there are a lot of temples everywhere and the designs are pretty cool!! 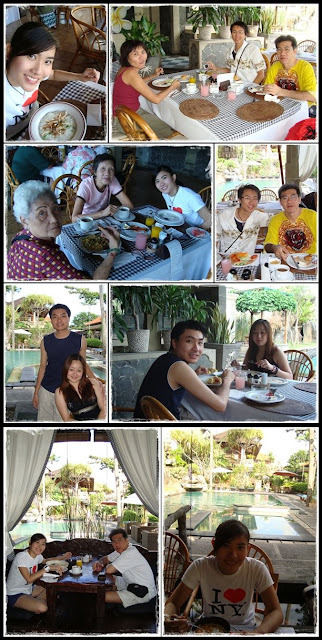 After being caught in the traffic for about 45 minutes...we finally arrived our hotel...Adi Dharma Cottages. 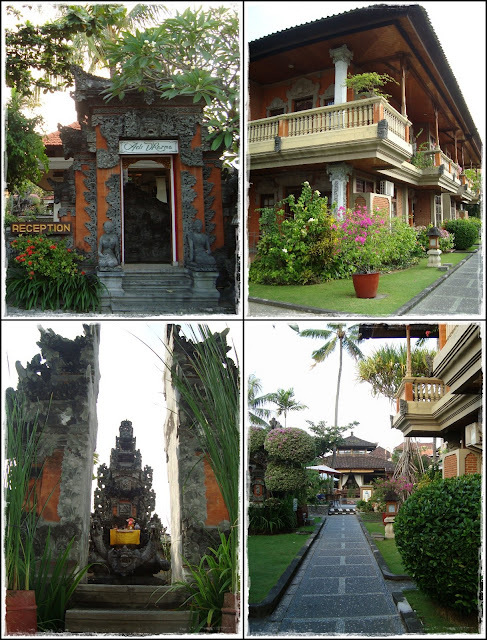 The hotel is pretty special coz its design is based on Balinese Style...not too big but cozy. Busy taking pics while waiting for bro to check-in the hotel...we took 3 rooms. 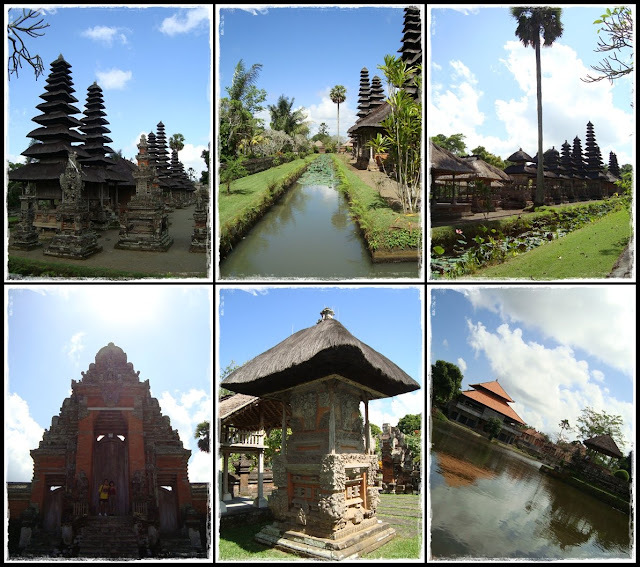 Along the main street of Bali. There were a group of people singing in a corner and we found out later on that that place was where the terrorist bombing happened few years back. The white thing there is the memorial for the tourists who were killed during the tragedy. Dinner time!! 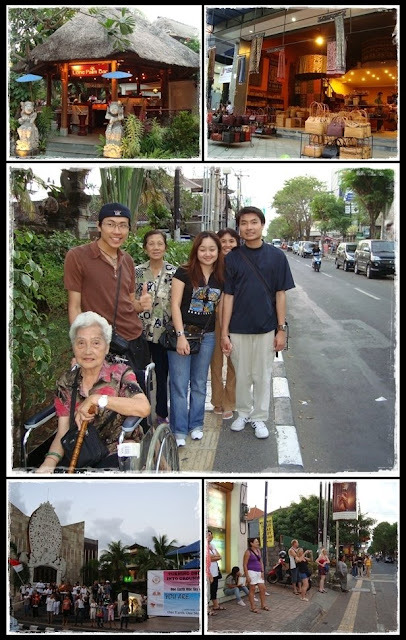 Bro took us to this place for some famous Indonesian food (forgot the name). 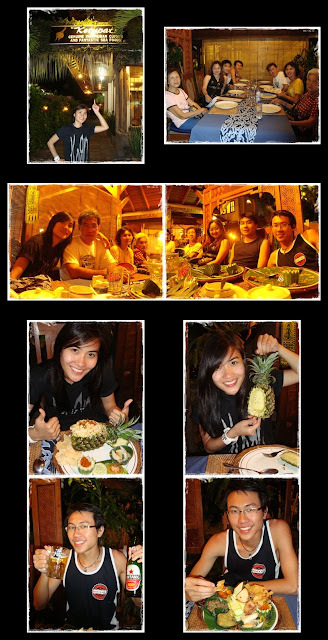 The environment was nice...but the lights were so dim that I couldn't even see what I was eating...haha!! 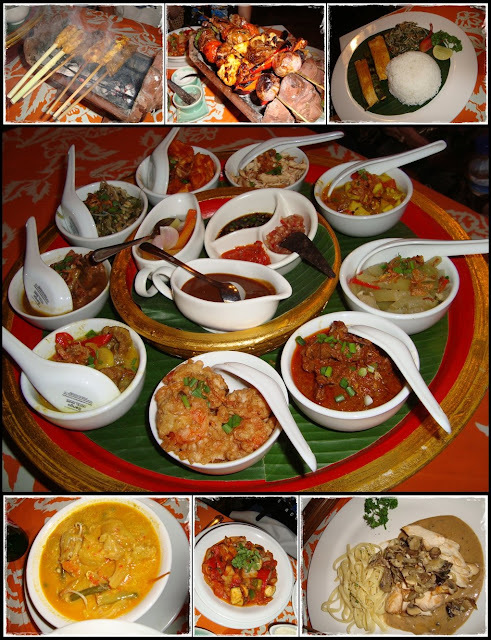 Oh...this was how our food looked like!! 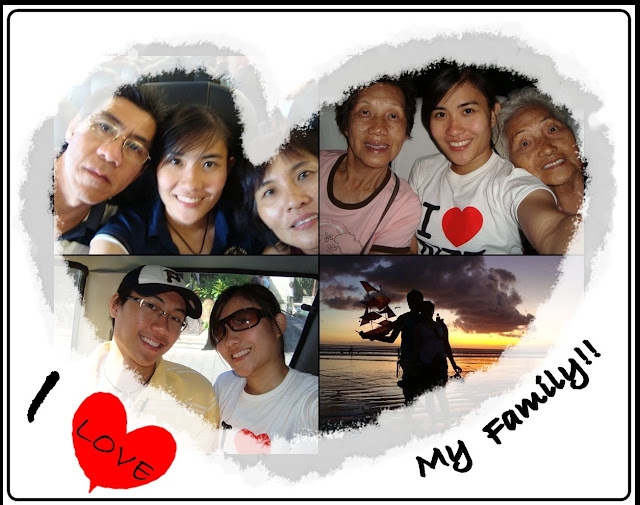 Luckily I took these pics...hahaha!! The 'Satay' was a lil' different from the ones that we have here though. 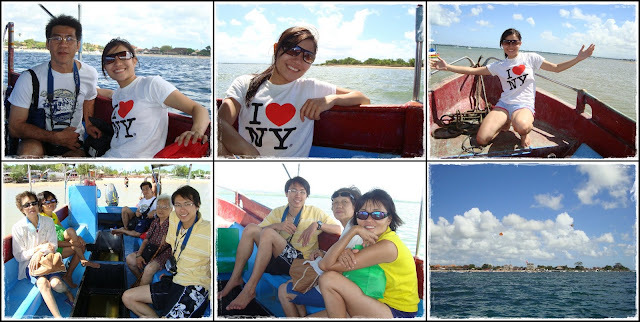 28 June 2009: We rented the hotel's van for a whole day to go around the island for sightseeing. Had our breakfast at the hotel before starting the day. Hehe...photoshoot session while waiting for the others to get ready...nice bo?? *slap* Haha!! 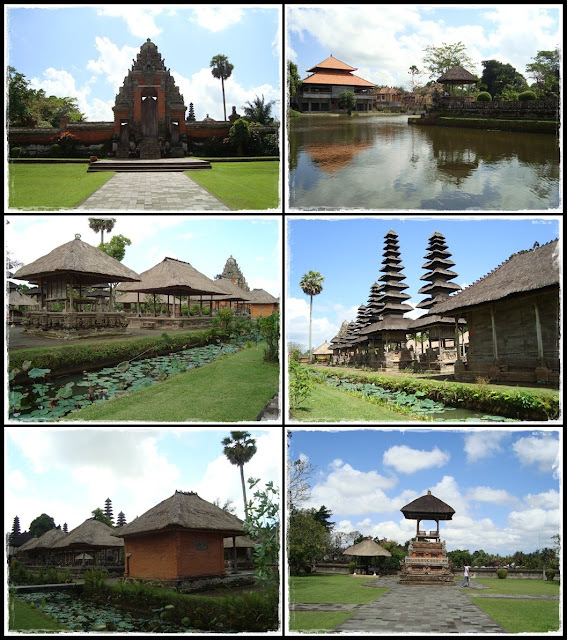 Our first destination...Royal Temple...love the surrounding and the unique designs!! 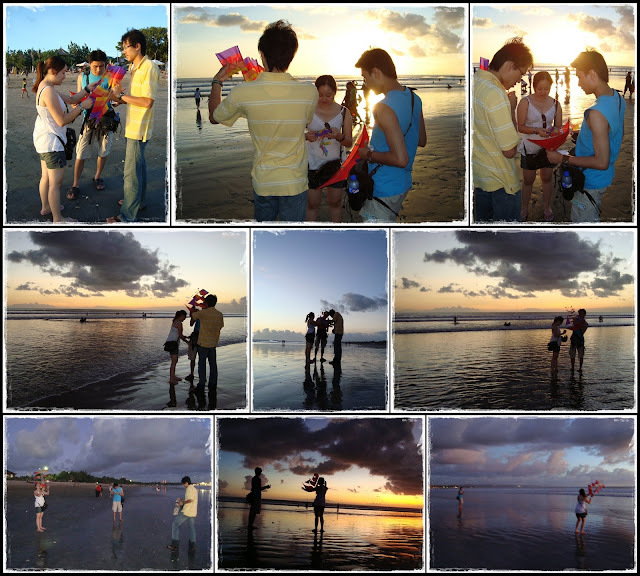 Of course...I was also busy taking photos for them...nice yea!! 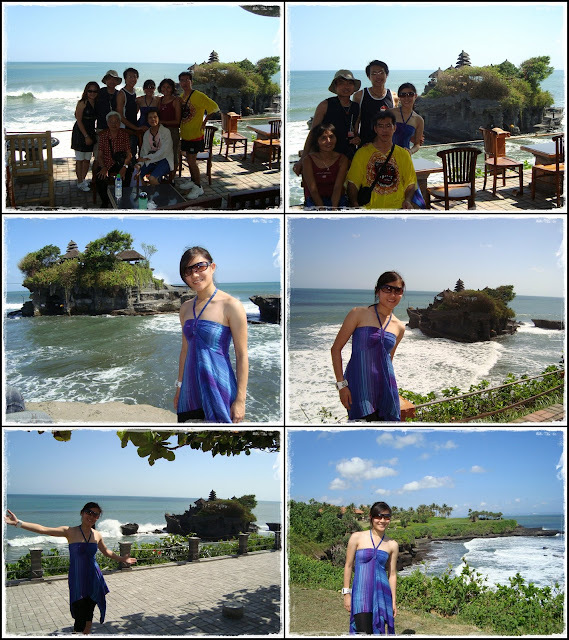 Next destination...."Tanah Lot" (the floating temple) not really floating but it is surrounded by water. We were there when it was high tide so couldn't walk over to the temple. This place is really niceeeee...very special indeed!! Look at the waves!!! Pose...pose...pose!!! 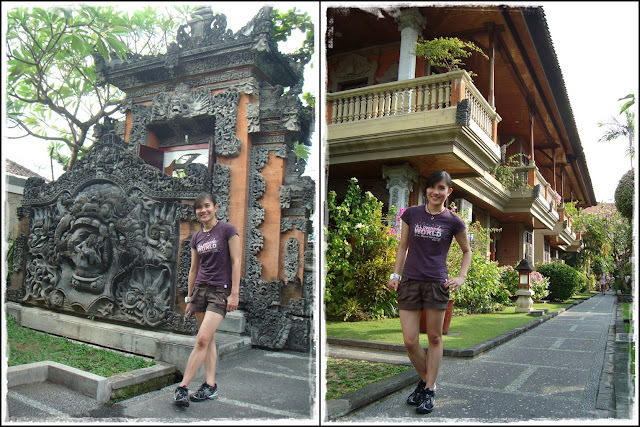 The scenery was too beautiful...can't stop taking pics...hehe!! 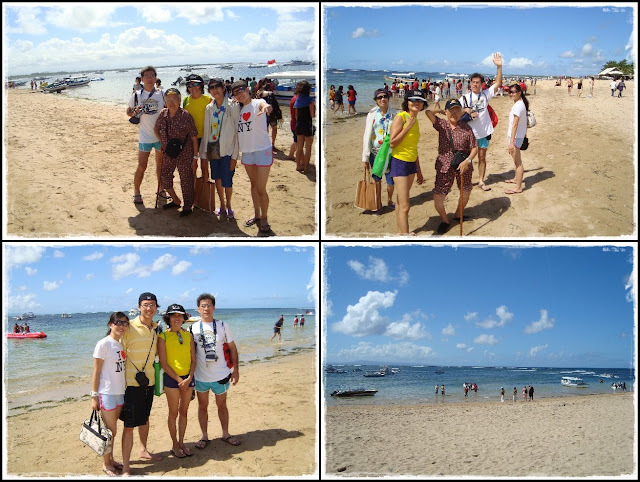 I think this was Nusa Dua beach...can't remember. I was not feeling well in the car coz of the hot weather and the ac in the car was so low...was a bit blur when we arrived here. The beach wasn't quite nice...a lot of locals picnicking there. 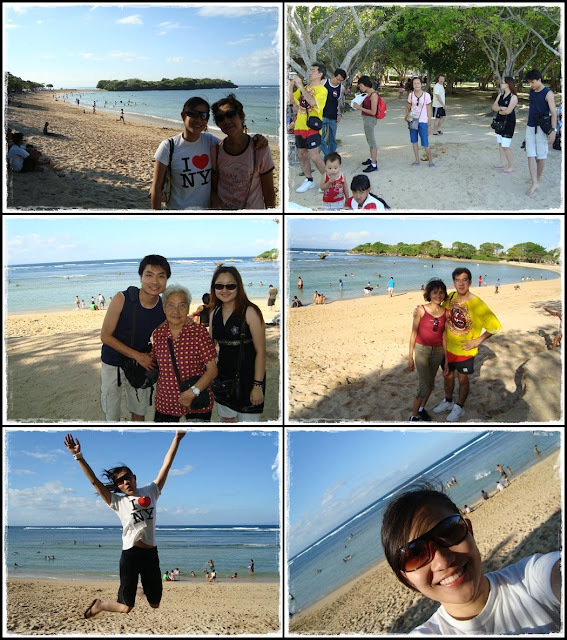 Just 3 shots...left, middle, and right and...that's all for this beach...haha!! 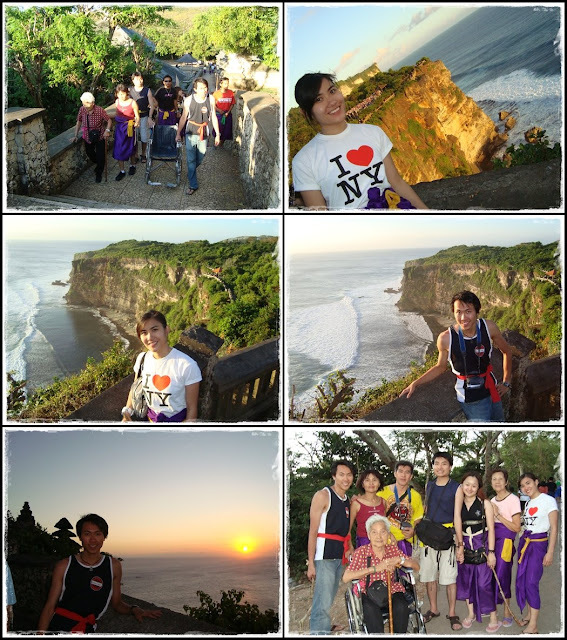 Our last sightseeing destination for the day...Uluwatu Temple. 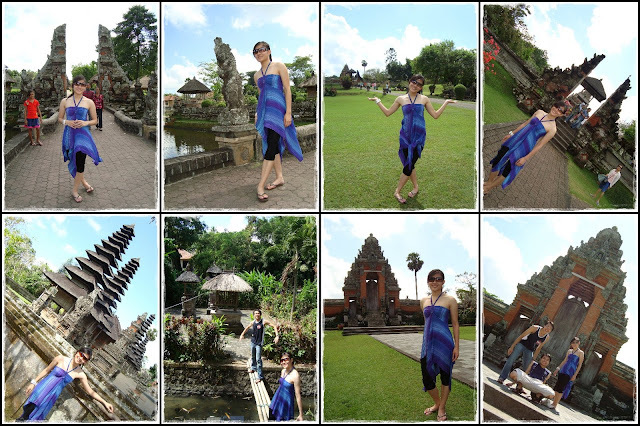 All tourists with shorts are required to wear a sarong...make us look so ugly..hehe!! But the view was totally awesome and breathtaking!!! 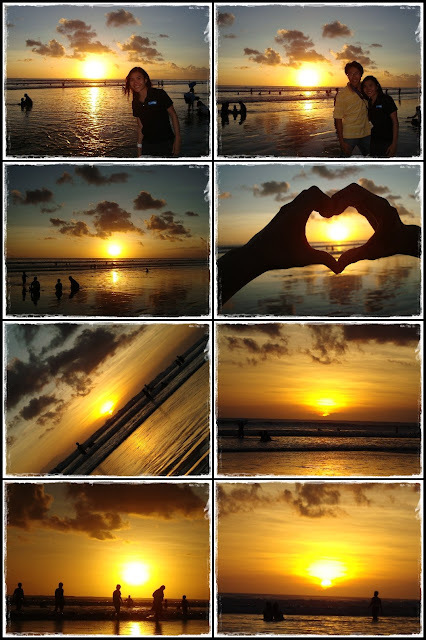 Watching sunset from that place was sooooo coooool!!! 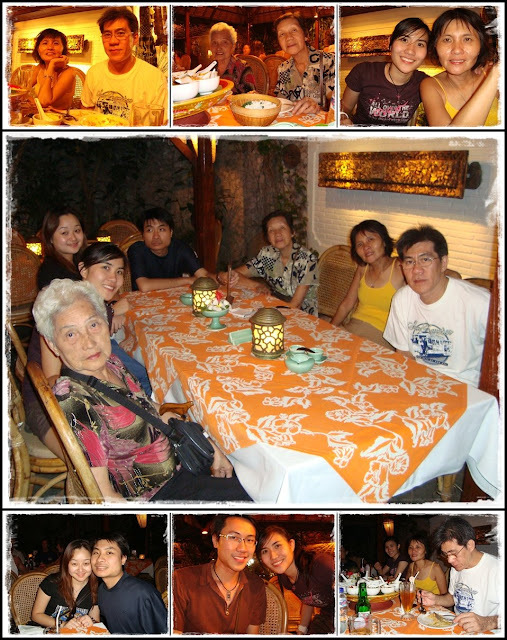 2nd day's dinner...another famous Balinese food restaurant in town. Food was pretty good and I liked the environment. My pineapple rice...yum yum!! 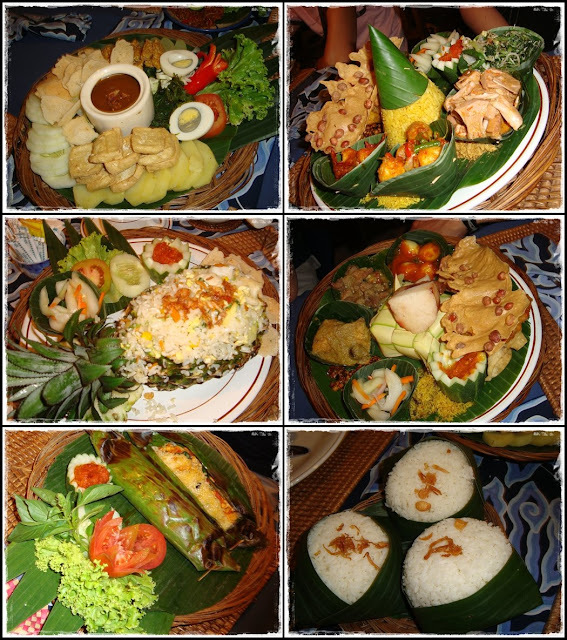 Nice presentation of the food huh!! 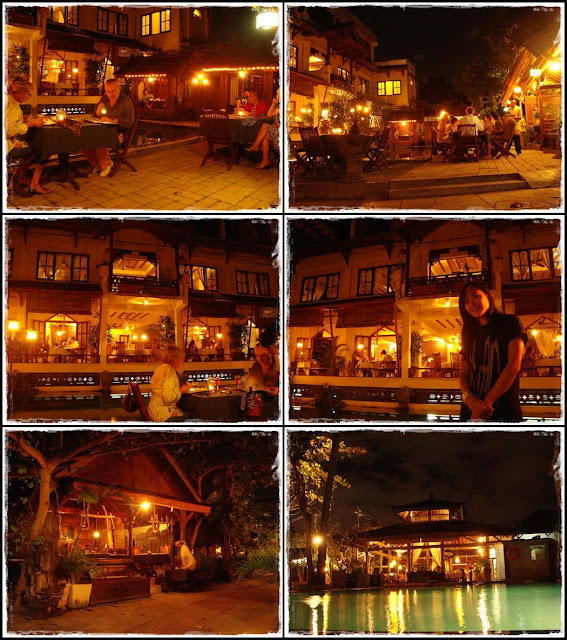 Some cool night shots at the restaurant and our hotel...me likey likey my new camera and tripod!! 29 June 2009: Haha...I know I'm crazy...more jump shots around the hotel!! 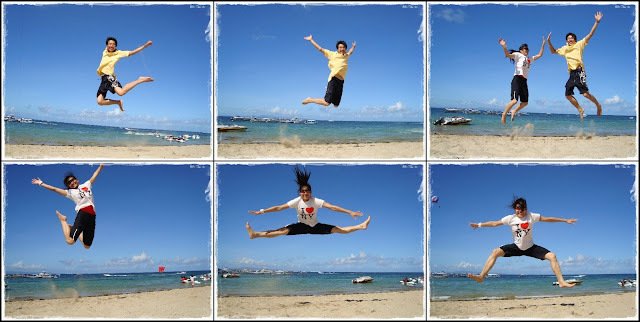 I used my tripod and set the timer for all these jump shots...awesome yea!! We were too bored in the car so I decided to take some group pic. But...let's see how we failed...haha!! Take 2...looks like I'm pulling mom's hair..fail again!! Take 4...guess that's the best we can get...ahhh!! Take 5...grandma not looking at the camera....arghhh..give up!! 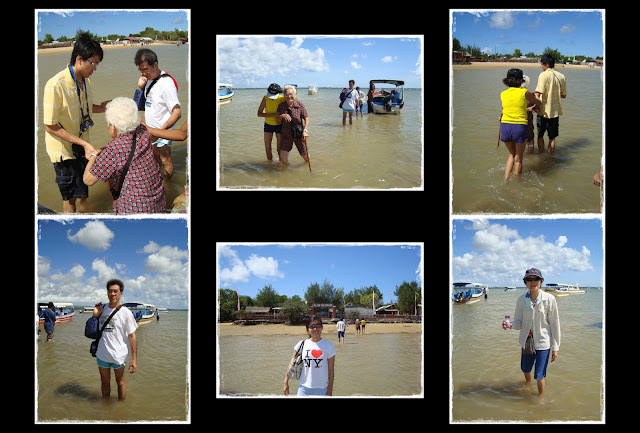 We came to this beach to board the boat to Turtle Island. As compared to the beach that we went the day before...this beach was much nicer and there were a lot of watersports. I can't stop laughing looking at this pic!! 1. Two aunties wearing their cap backwards and sunglasses...soooo coool huh!!! 2 & 3. 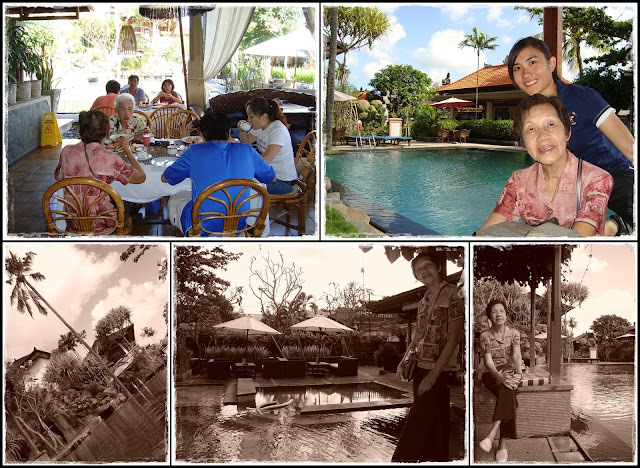 I asked grandma and mom to pose like that...no generation gap yo...hahahaha!! On the boat to Turtle Island...nice view! I'm so crazy...busy taking pictures everywhere...even getting off the boat. Looks like it's flooding...haha!! 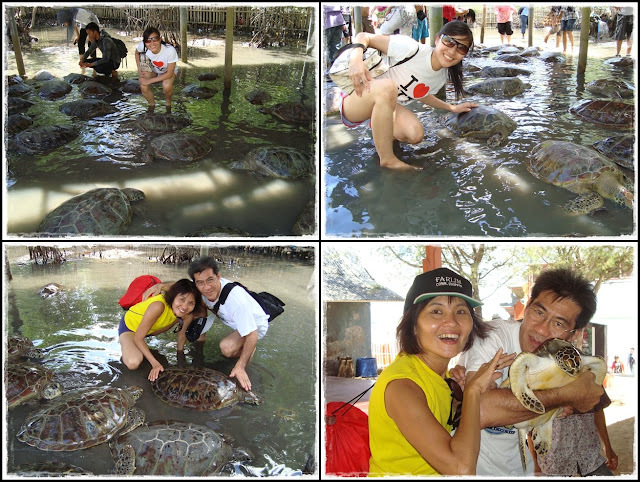 Turtles!! 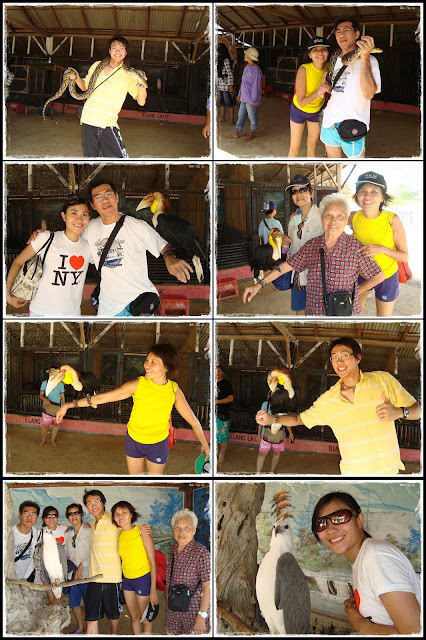 I don't want them to touch me so I looked like I'm constipated in the first pic...muahaha!! Okay...no thank you...I'm not a batfan...I don't wanna hold that thing!! Snake?? Hornbill?? Eagle?? No no no...I'm just gonna pose beside them...no touching...eww!! Hmm...jump shots again!!! People will think that we're crazy...haha!! 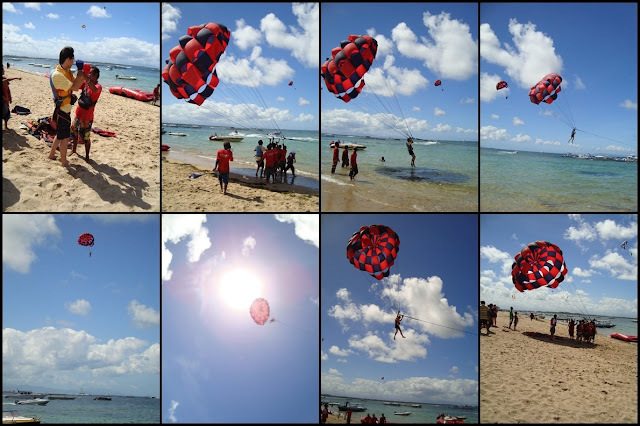 Bro trying out Parasailing for the very first time...woohoo~!!! 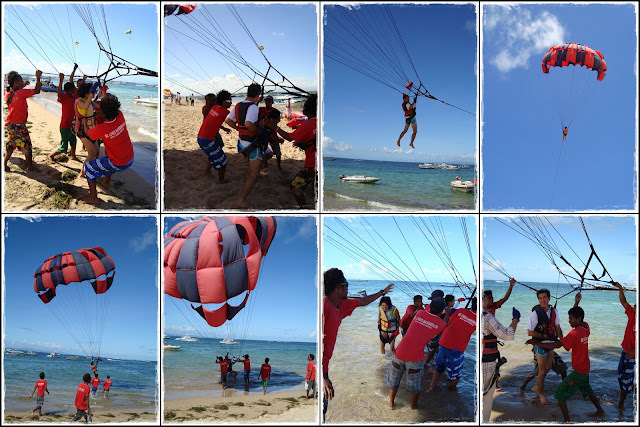 My turn...Parasailing was soooo awesome!!! Oh yeah...I'm flying!!! The view from the top was great!!! 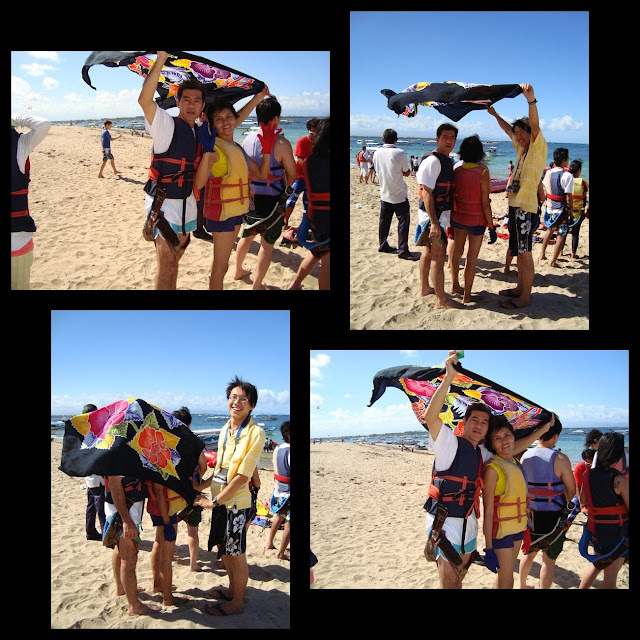 The lovely couple waiting for their turn to parasail. Was soooo hot so dad used the batik scarf to help mom block the sun. 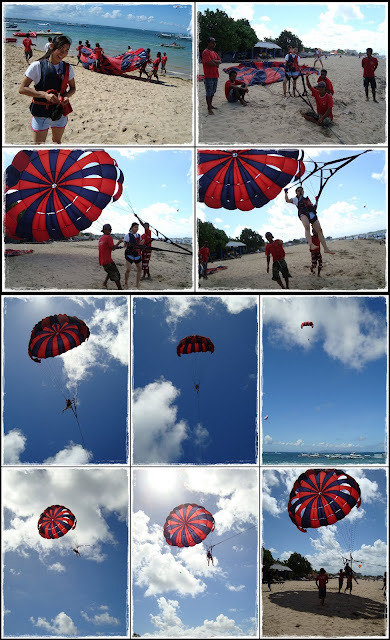 Mom was actually very reluctant to try parasailing but we persuaded her. Like husband like wife...both landed in the water and soaked...haha...fail!!! 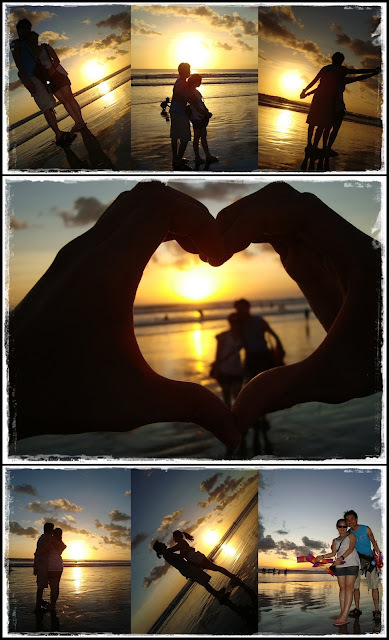 Went to Kuta beach on the last evening. I didn't know this beach was so nice...should have came earlier!! And this was the nearest beach to our hotel!! 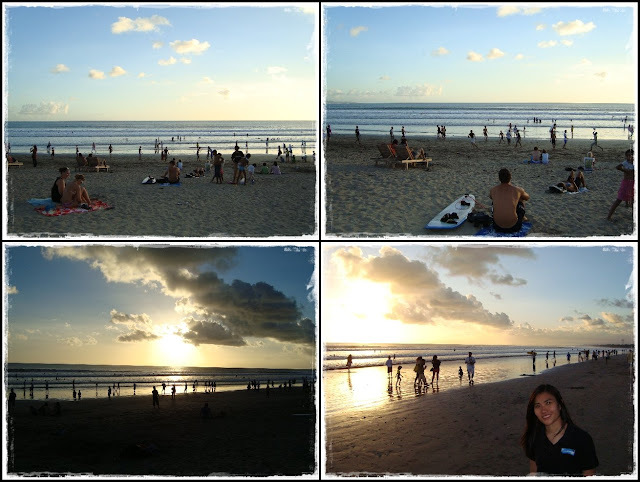 There were lotsa 'ang moh' surfing there...could have sat on the beach all day enjoying the view! At least we still managed to watch the sunset...very very nice! 3 of them were busy trying to fly the new kite...bro was running around the beach dunno how many times and the kite still refuses to fly...haha!! 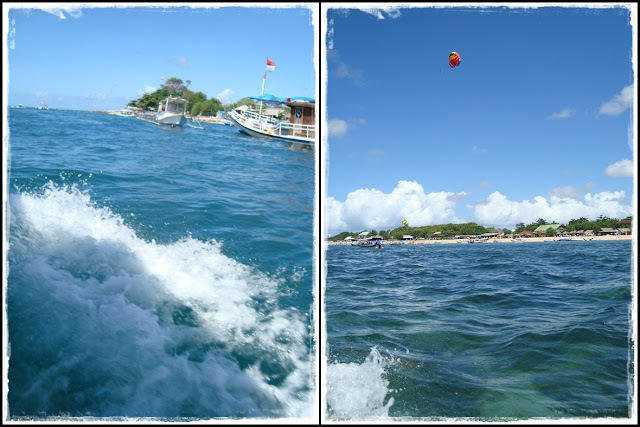 The kite was a boat...so I was wondering...maybe the kite wants to go to the sea...hehe!! I demanded both of them to stop playing with the kite and pose for pics...haha!! Whoops...jumping again!! Haha...look at my 'W' legs!! 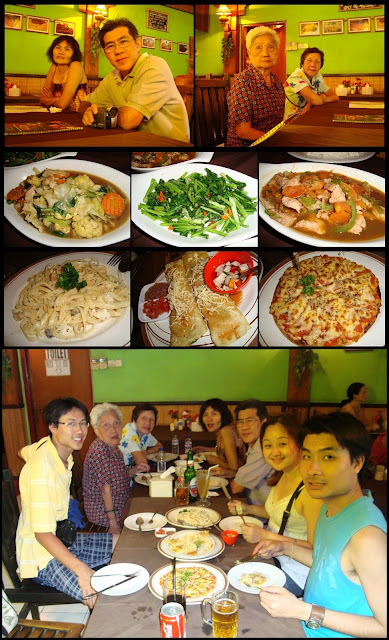 The 'generation gap' dinner...the 'adults' had chinese food....and 4 of us ordered western...haha!! 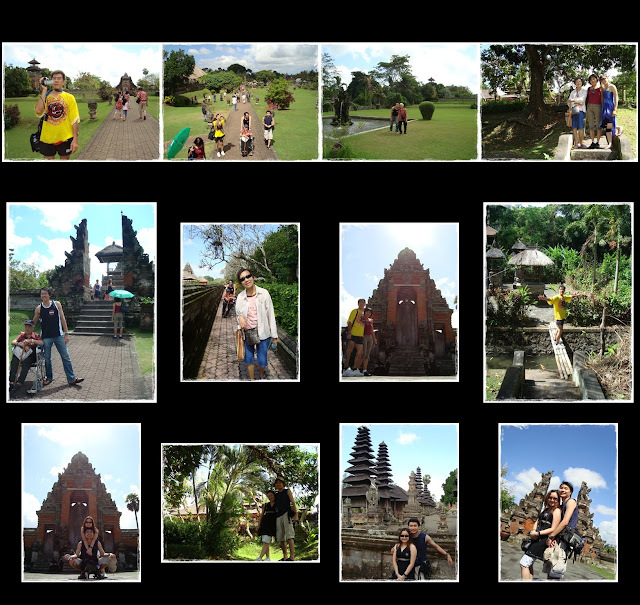 More pics before leaving the hotel...our 4D3N trip is coming to an end! !